Thorlabs is a privately held optical equipment company headquartered in Newton, New Jersey. Louis Berger is a full-service engineering, architecture, planning, environmental, program and construction management and economic development firm based in Morristown, New Jersey. Welcome to Colas USA. Colas USA is a vertically integrated materials and road construction company. While anchored by traditional delivery methods, the Group is extending their expertise into the continually developing alternate delivery market. CTCI focuses on the "3 Disciplines "of Intelligent Low Voltage Infrastructure IT, AV & SECURITY. Following their roots in the telecommunications industry they have continued to evolve with the ever changing need for connectivity and collaboration. These integrated systems prove to be the arteries for which information flows throughout the enterprise network. Established international manufacturers and stocking distributors of more than 65,000 standard and innovative component products for a very diversified range of commercial and retail end users. Fania Roofing provides commercial, specialty and residential roofing services in New Jersey, New York & Pennsylvania. 24/7 Service. Call 800-339-9151. Since the early 1950's, the Clayton Companies have been innovative leaders in the masonry industry. Visit www.claytonco.com to see our extensive product line. DuBell Lumber is the premier source for building materials and supplies, custom molding and cabinets, and more. Seven convenient Southern NJ locations. American Asphalt Company is an asphalt manufacturer, paving and parking lot maintenance company with locations in Burlington and West Collingswood Heights, NJ. MAC… Products and Services for the transmission, distribution, and control of electrical power. Construction Specialties manufactures and sells specialty architectural products internationally, with over 30 locations in 20 countries worldwide. High quality manufacturer of cold-formed steel framing products like Metal Stud Framing, RC Channel, Metal Floor Joists, Metal Lath, and Metal Corner Bead. Manufacturer of ViperStud , FrameRite , StudRite , GenieClip , and JoistRite. Since 1977, Woodhaven has been dedicated to helping families make their dream homes come true. From the finest lumber to windows and doors to cabinetry and design, Woodhaven has everything a builder or homeowner needs to bring your vision to life. J. Fletcher Creamer & Son, Inc. operates as a contractor in the United States. It constructs bridges, pre-cast and cast in place culverts, sound walls, highways, roads, runways, guide rails, overhead signs, sign structures, retaining walls, piles, pile caps, steel sheeting, bulk heads and breakwaters, foundations, footings, and parking garages. The company offers emergency response services, such as water main breaks/freezing, sewer breaks, excavation and trench support/shoring, site stabilization, rock scaling/rock slides, traffic control, snow plowing, and demolition; and road, highway, and bridge repairs. J. Fletcher Creamer & Son, Inc. also provides concrete work, site development, renewable energy, utility construction, and pipeline rehabilitation services. The company serves authorities, commissions, and state agencies; and cleaning and lining of potable water mains, communications, fiber optics, gas and electric, industrial and commercial, telecommunications, and water clients. J. Fletcher Creamer & Son, Inc. was founded in 1923 and is based in Hackensack, New Jersey. For 75 years Edmund Optics (EO) has been a leading producer of optics, imaging, and photonics technology. Trap Rock Industries, LLC produces hot mix asphalt and crushed stone for contractors and government agencies. The company was founded in 1966 and is based in Kingston, New Jersey with locations in Pennington, Lambertville, Moores Station, Florence, Columbus, Mt. Holly, Runnemede, and Keasbey. As of December 31, 2012, Trap Rock Industries, LLC operates as a subsidiary of CRH plc. Find the latest trends in tile, stone & wood for your home or commercial building project. Samples upon request. Complimentary design services available. We construct permanent, steel and concrete, modular buildings and bathroom PODS. Our construction methods are flexible, fast, and high quality. PJM Mechanical Contractors is a full-service HVAC, plumbing, controls, ductwork, refrigeration and fire protection for over 30 years. China Construction America was established in 1985; it is a subsidiary of China State Construction Engineering Corp.
Pemberton Fabricators offers complete finishing and painting services. Our state-of-the-art equipment enables Pemfab to provide the best in forming, punching, plasma cutting, machining and metal finishing. Weeks Marine, Inc. operates as a marine construction, dredging, and tunneling organization. The company undertakes various dredging projects, including harbor improvement, navigation, shore protection, specialty, reclamation, and flood control projects; and construction projects in the areas of demolition, deep foundations, container terminals, bridge and roadwork, rock work and shore protection, pipelines and outfalls, piers and wharfs, oil and gas terminals, marine structures, and diving. It also offers various stevedoring services, as well as performs marine structure demolition, wreck removal, landfill capping, and remediation activities; marine towing services, including multiple barge and difficult/delicate towing assignments, anchor handling, ocean, coastwise, harbor towing, and tending and towing for marine construction, dredging, and salvage industries; and waterborne services. In addition, the company owns, operates, and rents a fleet of ocean service barges, including deck barges, floating cranes, and specialty barges; and inland service barges, such as deck barges, material barges, carfloats, hopper barges, and crane barges. Further, it offers floating and land based equipment for sale. The company serves markets in North America, South America, the Caribbean, and the Pacific Rim. Weeks Marine, Inc. was formerly known as Weeks Stevedoring Company. The company was founded in 1919 and is headquartered in Cranford, New Jersey with regional offices in Louisiana, Texas, Virginia, Hawaii, Ontario, and Quebec. City Fire Equipment Company is a fully-licensed fire safety and protection company that sells, installs & services all fire safety equipment 24/7. Bouras Industries, Inc., through its subsidiaries, manufactures metal roof decks, metal composite floor decks, and deck profiles. The company also manufactures and sells steel joists, including short and long span joists, and steel girders. It has plants in New Jersey, Pennsylvania, Illinois, and South Carolina. Bouras Industries, Inc. was founded in 1960 and is based in Summit, New Jersey. Marshall Industrial Technologies offers a "Single Source" solution for your routine and emergency equipment installation, machinery repair, and plant maintenance needs. Strategically located in the heart of the industrial Northeast, Marshall Industrial Technologies has a staff of fully trained technicians who are dedicated to keeping your facility running and keeping you on schedule. Glenro engineers are trained and experienced to work closely with customers. Their engineers enjoy working through the process development phase of a project, examining, qualifying and defining meaningful performance criteria. Then, in conjunction with our customers, build sound technical and economical solutions for the desired application that are guaranteed to perform. 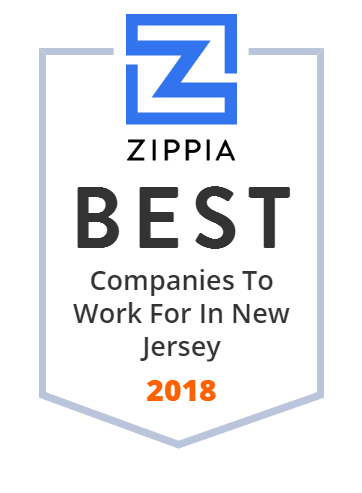 An award-winning landscaping company located in Bergen County and Northern NJ, specializing in landscape design, landscape maintenance, and irrigation for residential and commercial properties. Modern Facilities Services, Inc. provides janitorial services in New York, New Jersey, Pennsylvania, Delaware, Virginia, and Florida; and Washington, D.C. It offers facilities management services specializing in restroom sanitation, floor care, windows, and walls and critical touch points; and janitorial services, such as cleaning, office cleaning, MBE janitorial contractor, high rise building cleaning, commercial carpet cleaning, and hard floor refinishing. The company also provides facilities management services, including ground maintenance, compliant programs, housekeeping consultancy, work order monitoring programs, move management, mail room, window washing, intermediate and final construction cleaning, temporary laborer, clean room cleaning, warehouse cleaning, industrial floor scrubbing, power sweeping and degreasing, painting, re-lamping and light maintenance, and exterior maintenance. In addition, it offers building operations services, including carpet/upholstery/fabric cleaning, window cleaning, pest control, landscape revitalization, construction final clean, painting, clean room/computer room/sensitive, environment cleaning, kitchen cleaning, fine stone restoration and preventive maintenance care, power sweeping and degreasing, warehouse cleaning, industrial floor scrubbing, exterior maintenance, smoke and odor control, water loss/flood pickup, and temporary laborers. Further, the company provides janitorial consulting services, such as RFP preparation and analysis, preparedness assessment, and facility management programs; and internal logistics, patient flow management, landscaping, matron and porter, and emergency services. It serves healthcare/environmental, commercial, industrial, pharmaceutical, mass transit, and academic industries; and airports. The company was founded in 1979 and is based in East Hanover, New Jersey. For over 70 years, Premier Die Casting has been dedicated to providing companies with superior die casting and tooling, along with metal finishing and CNC machining through state of the art machinery and processes. Specializing in aluminum and zinc alloys, engineers and production staff will develop a high pressure die casting process that will produce your parts economically and with reliable quality. Englert, Inc. offers steel roofing solutions; Including metal roofs, roofing panels for standing seam roofs, gutters, and other metal roofing products. Riggs Distler is a recognized leader in the Mechanical, Electrical and Utility construction industry. Under one hat, one contract, one responsibility. Allstate Rubber is manufacturer of beautiful contract rubber flooring. Since 1958 we have innovated and changed the face of rubber flooring. Schiavone Construction Co. LLC has a 50+ year commitment to delivering the highest quality construction services at the lowest possible cost. NJ based Eastern Janitorial Services provides janitorial and cleaning services in New Jersey (NJ), Philadelphia PA, , NY, DE, CT, MA and FL.